Read this in a day! It reads like an episode of The Twilight Zone or like an episode of the newer series on Netflix, Black Mirror. Futuristic, yet current. Techy sci-fi. It’s like The Truman Show on steroids but updated to account for our now social media obsessed population. It magnifies our search for the newest and increasingly intense online videos to top the ones we just saw yesterday. It’s actually a quite terrifying look at a very real possible future in which our every thought is literally on display for all to see. I think this book was a lot of fun to read. It seems like an all too possible future for all of us. From the beginning of the book when we first enter Xan Brinkley’s futuristic office building to the surprise twist ending, this book puts in the work to show us how insane the future of the internet and social media could become. When I first finished this book I gave it a 3. But as the days went on I found myself re-assessing and re-evaluating my thoughts on this book. It really sat with me and made me think, so my review has been upgraded to a 4. It was interesting, thought provoking, and thoroughly creepy. I loved the twists and turns and especially loved a certain part of the book when it briefly turns into a survivalist story. One gripe I did have was that a couple of the characters took some VERY unrealistic left turns. I really don’t think that a person can shift so suddenly and go from good guy/girl to bad so quickly when they never displayed any of the selfish characteristics that we wind up seeing from them. Another character is murdered and it seems out of the blue and unwarranted. One of my favorite characters in the book is Xan Brinkley. 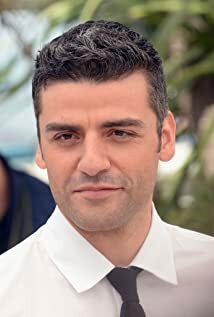 If you have seen the movie Ex Machina (IMDB Link) with Oscar Issac (pictured below), you will understand why I liked him so much. Xan reminded me so much of Nathan in that movie. He is so wrapped up in his creations that he essentially loses his mind and his sense of humanity. It was so wonderful to see his character slowly fall further and further down the rabbit hole. I haven’t mentioned the main character David very much. He was the main character, but basically he was our eye into Mindcast. He started as a successful video blogger and his quest for fame helped him make the decision to be the first Mindcast test subject. His selfish motivations led to many interesting consequences and while I did wind up feeling sorry for him, he was your typical bratty self absorbed fame hungry kid. So it took a while for me to actually like him and be concerned about where this book would take him. In a nutshell, I liked this book. It was a fun ride that was an easy read. Check it out! Next Next post: My 2017 Reading Roundup! Great review! I just added it to my TBR. The plot is very interesting! It was great! I could see it becoming a movie. Let me know what you think after you read it.